Pat dry your redfish and make diagonal cuts every 2 centimeters on each side. In a bowl, marinate 5 tablespoons of olive oil with the garlic, thyme and rosemary for 5 minutes. Take out the garlic and herbs and fill the belly with one stalk of rosemary and two stalks of thyme. Arrange the slices of lime inside the belly and add one tablespoon of marinated olive oil. Season the cavity with salt and pepper. Add two tablespoons of marinated olive oil to a big baking tray and carefully lay the redfish on top. 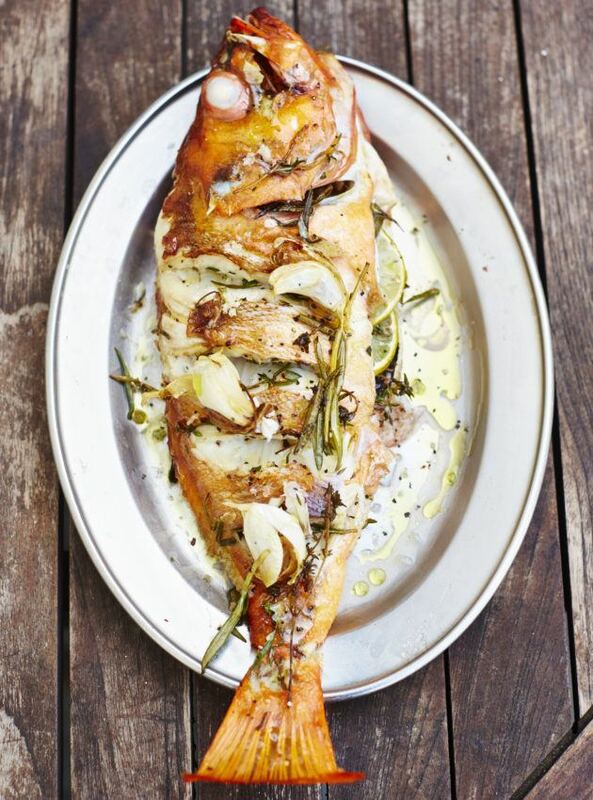 Season the diagonal cuts of the fish with salt and pepper and pour over one tablespoon of olive oil on each side. Chop the residual thyme and rosemary roughly and arrange it on the redfish, together with the marinated garlic. Put the whole fish in the preheated oven for 20-30 minutes, depending on the size of the fish. You can check if the fish is done by pressing the meat on the backbone. If it comes loose easily, your redfish is done. Serve the fish with some extra olive oil and some drops of lime juice. Season with salt and pepper. Fried fish is perfect for a quick, healthy meal at lunch or dinner.